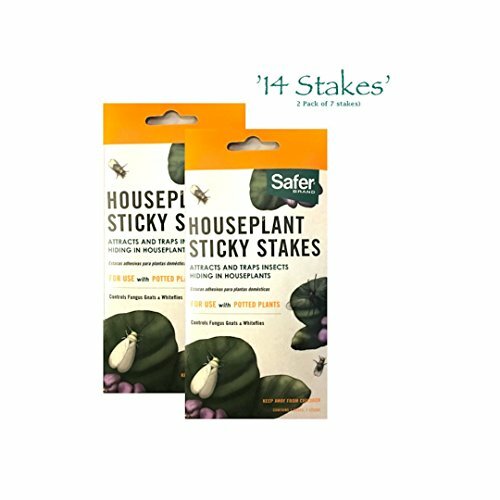 February 14, 2018 0 comments on "How to Get Rid of Gnats in House Plants"
Does any one know how to get rid of gnats in house plants? They are mostly in my small ones like ivy and herbs and there are lots of them. Tip #1: Put out small containers of cider vinegar. The gnats are attracted to the vinegar & drown in it. Hope this helps. 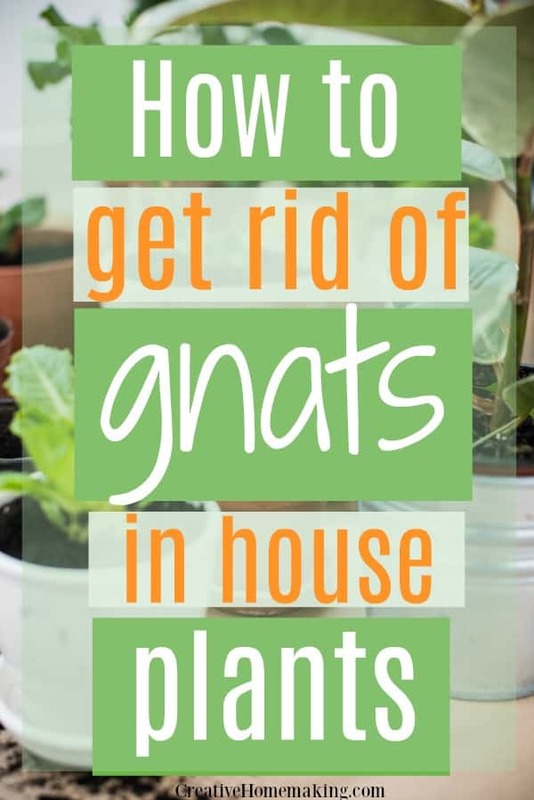 Tip #2: Gnats are a problem in plants that are kept too wet. Let them dry out between waterings. Yellow sticky traps will help catch the adults. The larvae live in the soil and feed on the roots. You can pull the plants out of the pots for a day or so, which will dry the roots. Most of the gnat larvae will be killed as a result of the roots drying out. 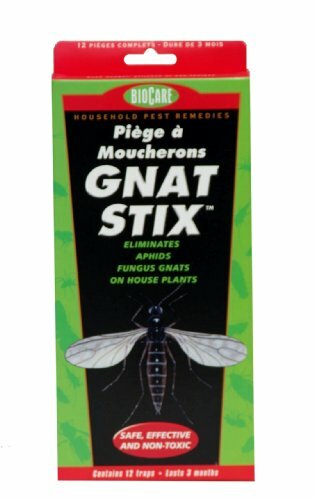 There is a product for treating that contains a special form of bacillus thuringensis specially for fungus gnats that will kill the larvae. Trapping adults and backing off on watering is usually sufficient. 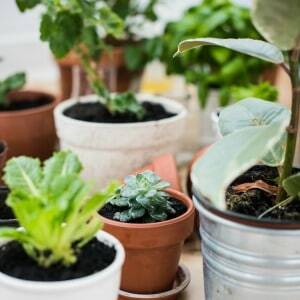 You can then drench the soil with a plant soap like Safer on the next watering cycle. 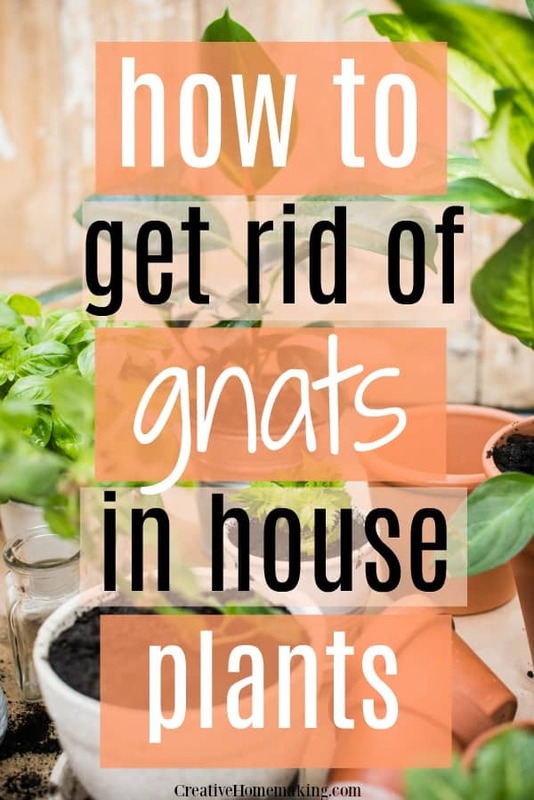 There are also several commercial products you can use to get rid of gnats on indoor plants and keep gnats away from house plants. Here are a few that Amazon recommends. 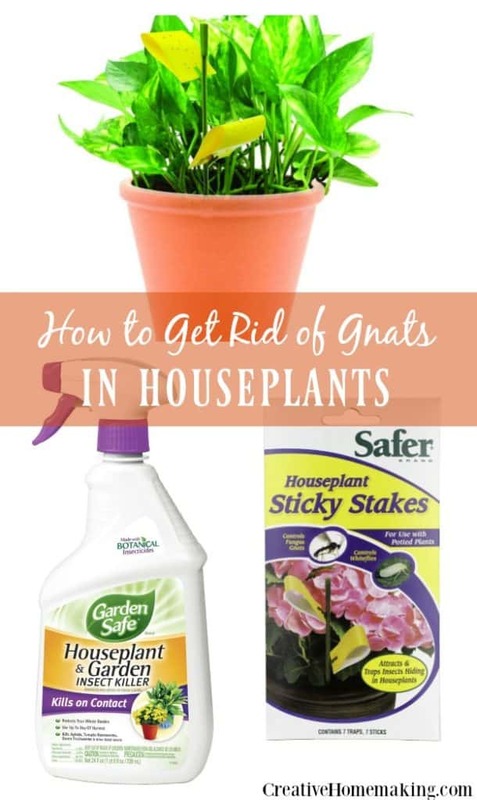 Tip #3: You can wipe the stems and leaves of indoor plants with a DIY gnat spray made from a mild soap-and water solution. 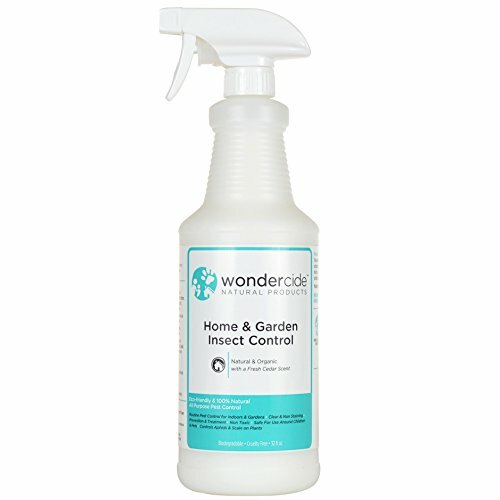 The same thing can be done to outdoor plants by using insecticidal soap and following the directions on the can, or you can make a homemade insecticide by mixing 2 1/2 tbsp of biodegradable detergent to 1 gallon of water and using it to spray both sides of the plant leaves. After an hour, spray or hose the leaves down with clear water. Tip #4: I put a clove of garlic in each of my potted plants, which cut down on the gnats, but I still have a few. Next I’m going to try the tobacco spray. I remember growing up my mom used to put her cigarette butts in the plants and told me the nicotine helped the plants grow and kept the bugs out. (I had completely forgotten about the nicotine! now to find a smoker)! Tip #5: I have a recipe for a gnat trap solution. Stir together until dissolved: 2 tbsp sugar & 1/2 c cider vinegar (white vinegar works, but cider vinegar works best). After the sugar is dissolved, gently stir in 1 tsp dish detergent, being careful not to create suds. Set this mixture out near the problem area. You may then need to change the solution a couple of times; as a result, the gnats should then disappear.